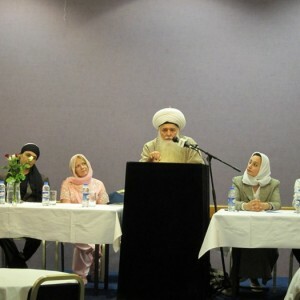 In his summer 2010 tour of the United Kingdom, CSCA Chairman Shaykh Hisham Kabbani had several speaking engagements including a keynote address at the Unity, Peace and Love conference where he addressed the status of Muslim extremism today. 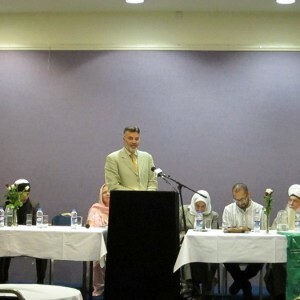 At the Hilton Hotel in Watford, Shaykh Kabbani stood before hundreds of attendees and gave an emotionally charged speech which illustrated the true problem of extremism today: it is not a war against the West, he stated – it is a war against Muslims BY Muslims. It is the Wahhabi extremists who are killing the Sufi, traditional Muslims worldwide, extinguishing age old practices and places of worship across the Muslim world, in Pakistan, Afghanistan, Palestine, Kashmir and other countries. 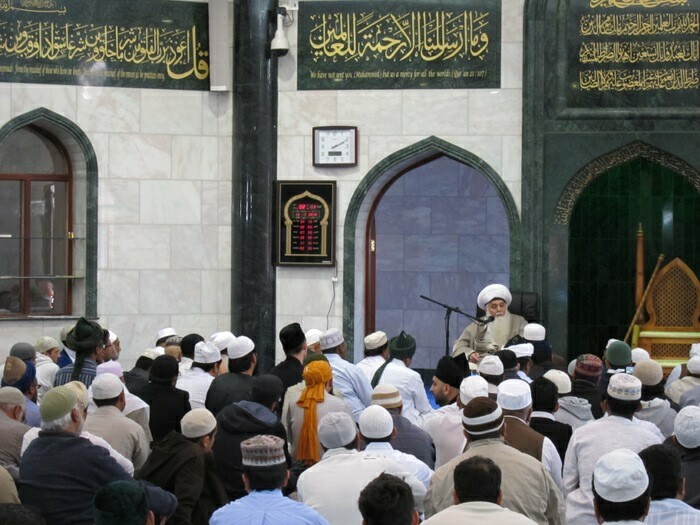 As he begins nearly every speech or lecture, Shaykh Kabbani reiterated the verse from the Holy Quran that states, “Obey Allah, obey the Prophet, and obey those on authority among you.” Those on authority refers to both traditional Muslim scholars, whose voice is repressed – and to the governing authorities of a given country. 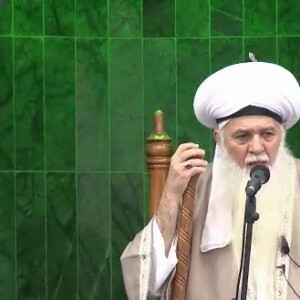 Another highlight of his trip to the UK included an interview with Ummah TV, where Shaykh Kabbani explained different spiritual aspects of whirling, on the station’s special tribute to Jalaluddin Rumi. In the interview, he stressed the importance of giving youth an alternative to radicalism, in the way of Sufi practices such as whirling and other kinds of movement which are appealing to young people and have a positive effect on the soul. 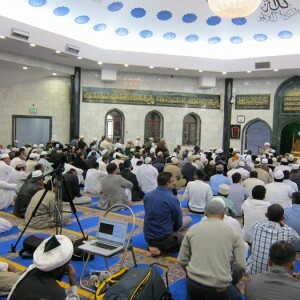 For the rest of his tour in the UK, Shaykh Kabbani visited a number of mosques in and around London and Birmingham, including a visit to the first mosque in England, the Shah Jehan Mosque (est. 1889) in Woking, UK. 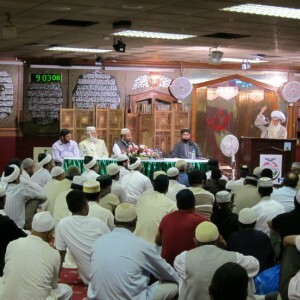 Upon the first night of arrival, Shaykh Hisham Kabbani went to perform the weekly zikr ceremony at Minhaj ul-Quran in London. He was joined by the students and official representatives of the world renowned scholar, Dr. Tahir Qadri, as well as the area Naqshbandi brothers and sisters. The two communities of Dr. Qadri and Shaykh Nazim enjoy a very special relationship, which is a source of great intellectual, spiritual and social support to both.